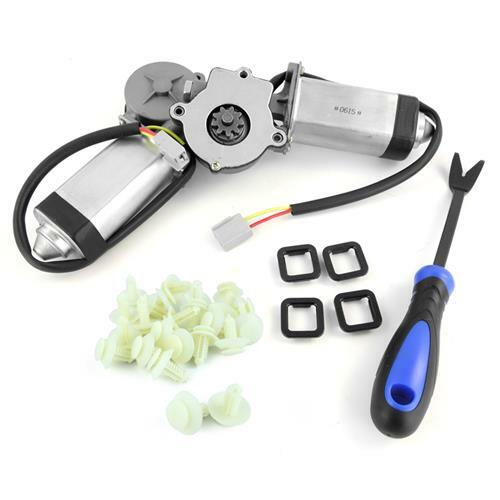 Replace your defective 1979-1993 Mustang window motors with this complete window motor kit! Overhaul your 1979-1993 Mustang windows with this complete power window restoration kit. This 5.0 Resto kit includes both driver and passenger side window motors to replace your broken factory motors. These Mustang window motors are plug & play replacements for your original motors. The factory screws are re-used and cut their own threads into the new motors. To go along with the new window motors, we've included a new door panel removal tool, window guide bushings, and door panel push pins to ensure you have everything needed for a complete install. The door panel removal tool will help pop open your factory push pins without harming your door panel. The window guide bushings help keep your window on track. If you're experiencing a window that likes to go off track, these bushings will keep it in line for both sides. Finally, we've included 24 door panel clips to re-install your door panels and finish the job right. Will NOT fit Mustang convertible. 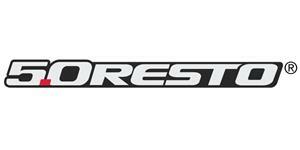 Are you tired of the door windows on your 1979-1993 Mustang moving slowly or not at all? If so, then chunk those old, worn out Power Window Motors! This kit has everything you need to swap out both Window Motors in your 1979-1993 Mustang. Need to know how to remove/install Fox Body Mustang window guide bushings? 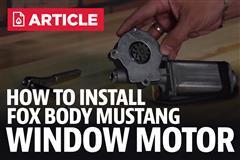 Follow along as Jmac shows you how to get your Mustang Window functioning properly in no time! If your Mustang's door windows are crooked as they go up & down, your window guide bushings are probably shot. This small, square bushing fits in the guide bracket at bottom of the window and guides the window glass along the window guide bar.